How to make cheap food taste glorious. I like to spend all my disposable income on make up and going out to places and doing things. So when it comes to my home food I do live life on a budget. When it comes to selecting food I tend to go for own store brand (with some exceptions like butter, coffee, crisps) so it does need some TLC to taste nice. In no means I’m a chef so 90% of the time it does go wrong, because I like my food to be over cooked when it comes to home cooking so I won’t die from food poisoning, but I have faith in myself and sometimes good things like this pizza go right. 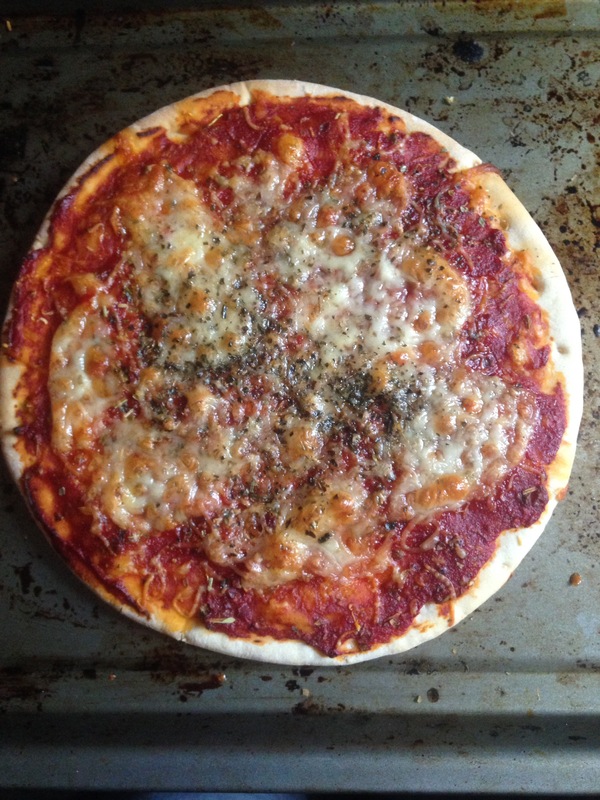 Read on to see how I made a plain pizza look fancy. Firstly, I bought Tesco every day pizza. These are great because they come singly wrapped so if you don’t eat them by the best before date you can freeze them. 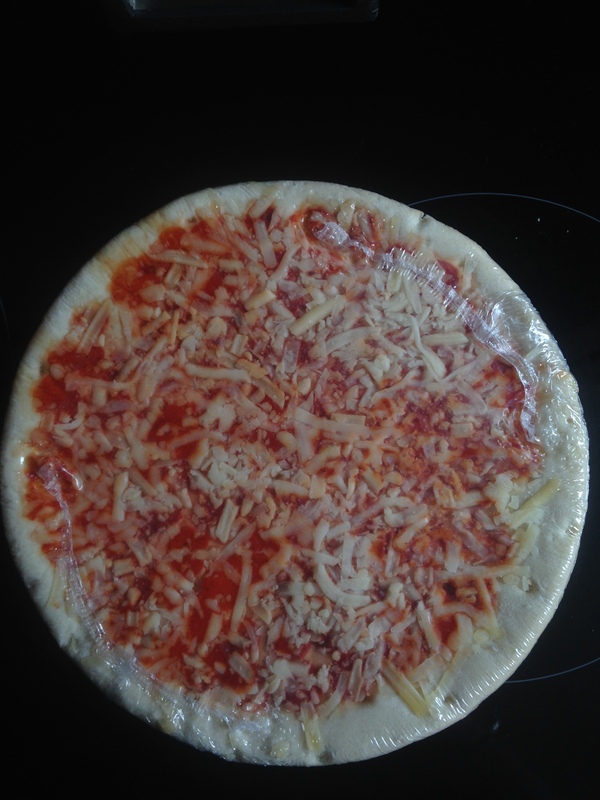 Then I took tomato purée and smothered it over the base spreading it everywhere. After this I took some Italian herbs and spices and swirled it into the purée. Next comes cheese. 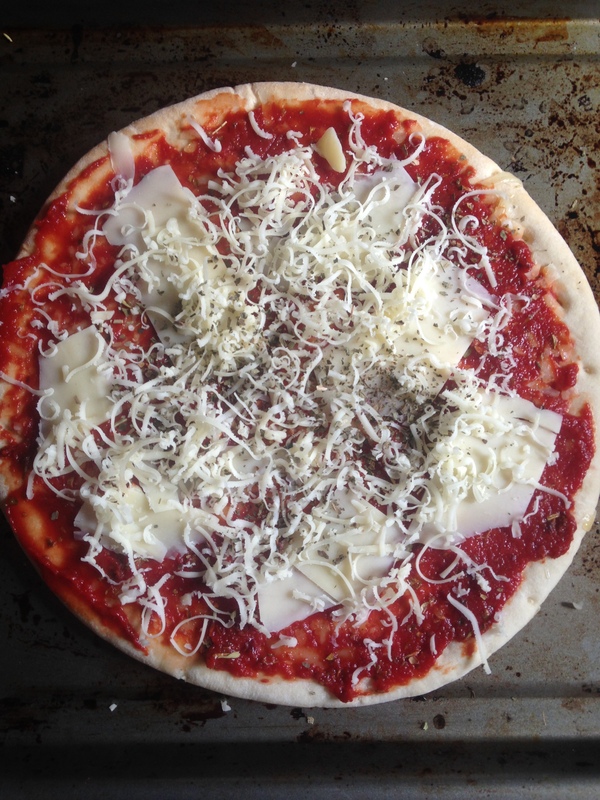 I cut off slithers of cheese so it would melt into chunks, and grated some on top to even it all out and for an excuse to add more cheese. Last step, added a sprinkle of basil to make it taste even more like Italy. I cooked it for 15 mins. The pack stated 7 but it was still soft after this and I like my pizzas to have a crunch. It tasted delicious and even impressed my housemates who like to judge how I live. 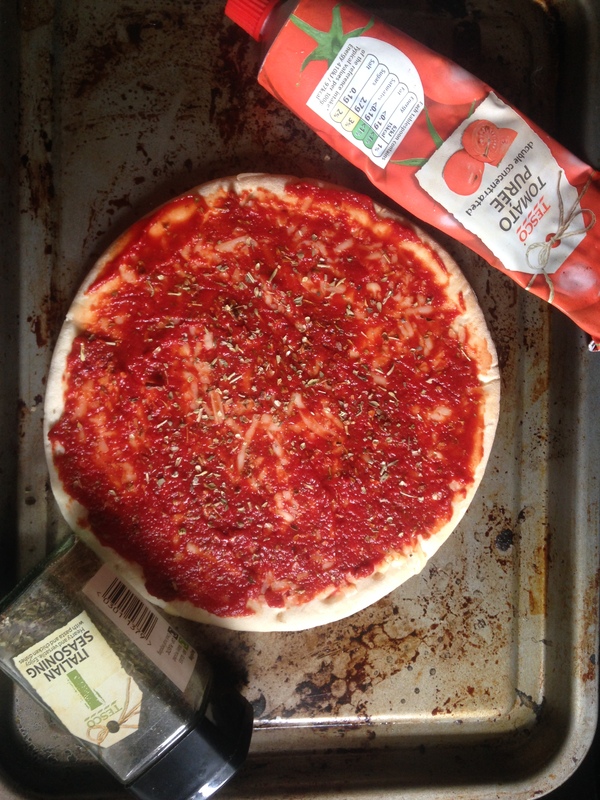 My housemate even followed my attempt at cooking and added spices to her pizza and was pleasantly surprised. In short, add cheese and herbs or spices to food to make it taste nice. Posted on August 9, 2016 August 9, 2016 by sindyydollPosted in Life of SindyydollTagged bblogger, beauty blogger, food, food blogger, how to, pizza, tesco food, tesco pizza, tutorial, UK Blogger, welsh blogger, welsh food blog, welsh food blogger. Previous Previous post: Where on earth have I been? !